Houston is a city with a famous Museum District with John C. Freeman Weather Museum, The Health Museum, and the Contemporary Arts Museum Houston. Enjoy the coastal city ranking first in waterborne tonnage. We've helped many people with therapy, health and wellness in Houston and elsewhere in the Lone Star State. 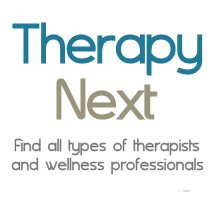 Therapists in Uptown, Downtown, Midtown, Texas Medical Center, Energy Corridor, Greenway Plaza, Westchase, Greenspoint.